It’s that time of year when we spend more time outdoors and the tick population is out in full force. We may think that ticks are an only issue for our pets, but they can pose a risk to humans, too. Lyme disease is caused by the bacterium Borrelia burgdorferi and is transmitted to humans through the bite of infected blacklegged ticks. Typical symptoms include fever, headache, fatigue, and a characteristic skin rash called erythema migrans. If left untreated, infection can spread to joints, the heart, and the nervous system. Lyme disease is diagnosed based on symptoms, physical findings (e.g., rash), and the possibility of exposure to infected ticks. Blood tests are usually conducted after symptoms appear to determine if someone has Lyme disease. Most cases can be treated successfully with a few weeks of antibiotics. If you’ve ever tried to pull a tick off of you, you know it’s not easy. The tick’s body breaks away and their heads get buried under your skin causing the tick to regurgitate its contents into your body. Carrying a tick removal kit is advised as they can be used to effectively remove ticks from body reducing the risk of disease transmission. ‘Do It Yourself’ tick kits should include an insect repellant, a pair of fine tweezers, an antiseptic and small vial. Using the tweezers, remove the tick with the tips of the tweezers as close as possible to the skin around the ticks mouth parts. 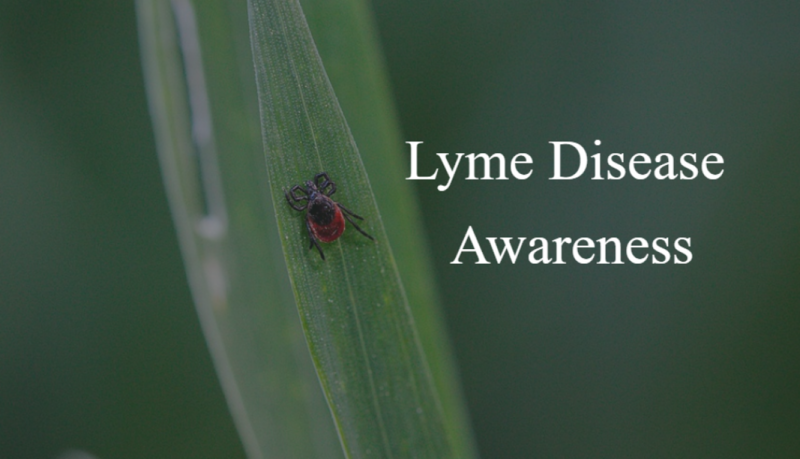 A gentle upward action is recommend by the Lyme Disease Foundation. By placing the tick in a vial with a blade of grass, the tick can be kept alive for testing. This past week I’m sure you’ve heard about the E. coli contamination causing the recall of all romaine lettuce from Arizona. What is E. coli, what are the symptoms of infection, how do we get sick from it and how do we prevent getting infections from it? Escherichia coli (abbreviated as E. coli) are bacteria found in the environment, foods, and intestines of people and animals. E. coli are a large and diverse group of bacteria, and although most strains of E. coli are harmless, others can make you sick. Some kinds of E. coli cause disease by making a toxin called Shiga toxin. The bacteria that make these toxins are called Shiga toxin-producing E. coli, or STEC, and can cause diarrhea, urinary tract infections, respiratory illness and pneumonia, and other illnesses. Most people who get sick with an STEC infection may not know what caused the illness since it can take two to eight days to get sick after eating contaminated food. Most people recover within seven days of getting sick. Rebounds are uncommon, but are serious and can be fatal. In the recent cases from the contaminated lettuce, of the 53 infections confirmed so far, 31 were hospitalized, and five developed hemolytic urine syndrome (HUS). HUS develops just when diarrhea starts to improve from a STEC infection, typically about seven days after the original symptoms began. If you have the symptoms of HUS or see them in a family member, don’t take chances by waiting another day to see if the symptoms get better. According to CDC guidance, people with HUS should be hospitalized for observation and treatment. How do you get an E. coli infection? or contact with the feces of infected people. Some foods are considered to carry such a high risk of infection that health officials recommend that people avoid them completely. These foods include unpasteurized (raw) milk, unpasteurized apple cider, and soft cheeses made from raw milk. Sometimes the contact is pretty obvious (working with cows at a dairy or changing diapers, for example), but sometimes it is not (like eating an undercooked hamburger or a contaminated piece of lettuce). People have gotten infected by swallowing lake water while swimming, touching the environment in petting zoos and other animal exhibits, and by eating food prepared by people who did not wash their hands well after using the toilet. Almost everyone has some risk of infection. 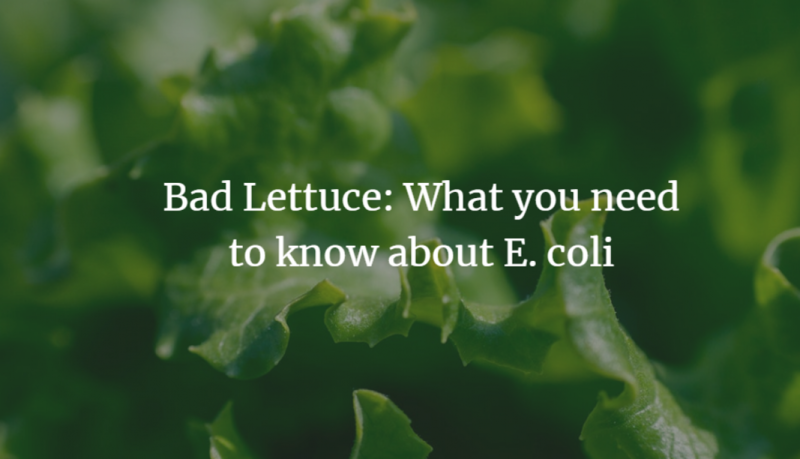 How do you prevent getting an E. coli infection? Wash your hands – With soap and water after using the bathroom or changing diapers. Wash your hands – With soap and water before preparing or eating food. Wash your hands – With soap and water after contact with animals or their environment (at farms, petting zoos, fairs, or your own yard). Cook meat thoroughly. Use a meat thermometer to be sure all meat is cooked thoroughly. Ground beef and other meats that have been needle-tenderized should be cooked to a temperature of at least 160°F/70˚C. Beef steaks and roasts should be cooked to an internal temperature of at least 145°F (62.6˚C) and allow to rest for 3 minutes after you remove meat from the grill or stove. Avoid raw milk, unpasteurized dairy products, and unpasteurized juices like fresh apple cider. Avoid swallowing water when swimming or playing in lakes, ponds, streams, swimming pools, and backyard “kiddie” pools. What are the treatments for illness caused by E. coli? Avoid taking an anti-diarrheal medication such as Immodium. This slows down your digestive system, preventing your body from getting rid of the toxins. Antibiotics usually are not recommended because they can increase the risk of serious complications. However, ff you have a serious E. coli infection that has caused hemolytic uremic syndrome, you’ll be hospitalized and given supportive care, including IV fluids, blood transfusions and kidney dialysis. The NHS had a wake-up call after the WannaCry cyber-attacks – what is Europe doing to respond? Is the legal bar for convicting HCPs of manslaughter ‘too low’?